It is not a secret that there is a relation between fashion and art. What is becoming a dominant trend is the obvious unions of great fashion houses with contemporary artists. We have also seen Michael Elmgreen and Ingmar Dragset who combine fashion and installation art, with the conception of Prada Marfa. 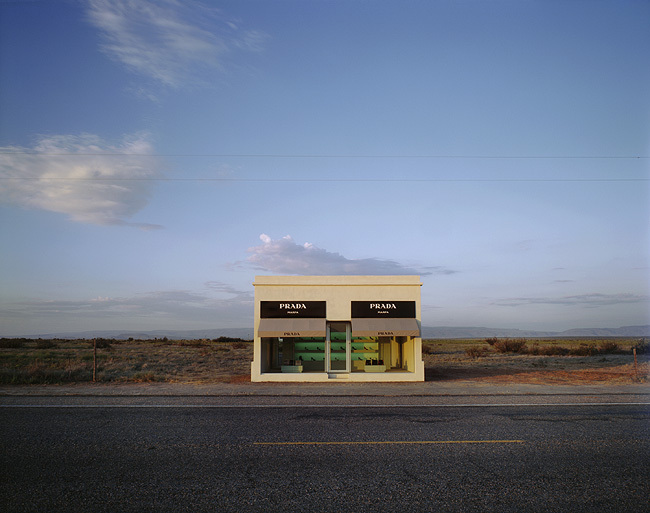 They constructed a Prada store front in the middle of nowhere (in Marfa Texas). Going nowhere to see Artist talk about fashion, versus the most recent phenomenon, Art going everywhere sponsored by Fashion. Major fashion houses like Chanel and Hermes are creating artpods, enclosed traveling exhibitions touring the world to promote art.